A 21-year-old from Coventry, UK, is the first British person to be charged over a swatting incident. Allegedly, Robert McDaid posed as another man from Maryland, US, and called the terrorism hotline claiming to have a gun, explosives, and hostages. McDaid is accused of saying his name was Tyran Dobbs, and threatening to kill all three hostages if police didn’t deliver $15,000 to Dobbs’ address. As a result, Dobbs’ home was raided by armed police. The 20-year old was shot in the face and chest with rubber bullets. 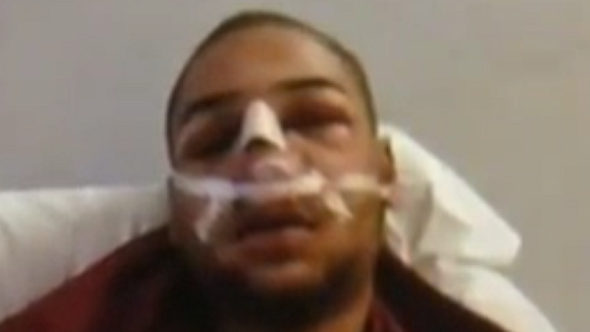 Bones in the young man’s face were broken and his lungs were bruised from the assault. Investigators realised the call was a hoax, so they traced it to McDaid. The British man faces three charges from the US, adding up to a potential 20-year prison sentence. The “prank” was allegedly done in collusion with an American gamer called Zachary Lee, who requested McDaid called the hoax in. According to the investigators, McDaid responded “I’ll do it when I’m up”. Lee is facing the same charges. “We are working with officials in the UK to ensure that Robert McDaid is held accountable for his alleged actions because the alleged criminal activity represents a grave threat to public safety,” said Maryland US prosecutor Rod Rosenstein, via The Independent.